How to resolve the 'This is not a QuickBooks data file or is damaged' error message? "This is not a QuickBooks data file or is damaged"
"This is not a QuickBooks data file or is damaged". This is not a QuickBooks data file or there is a problem with the data file. Please contact Intuit Technical Support and provide them with the following error codes: (-6147, 0). We apologize for the inconvenience. QuickBooks must close immediately. Any unsaved data will need to be re-entered. 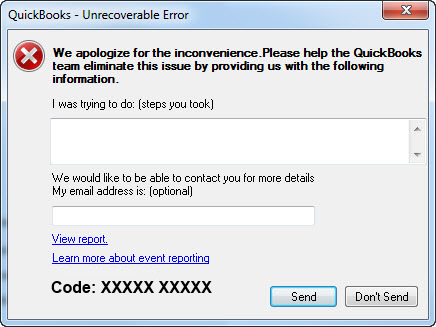 This error indicates that your Quickbooks company file is damaged. There are several possible causes of the error. First, you may want to try and restart your computer and your database server to see if this resolves the error. If that doesn't work, make sure QuickBooks is configured properly and the computer that hosts the data file is working properly.